Welcome to my webshop, I’m Khun Pa and started this business back in 2010. Have a look around, I sell many healthy and organic products to keep you in shape. We deliver everywhere on the island and ship to everywhere in Thailand. 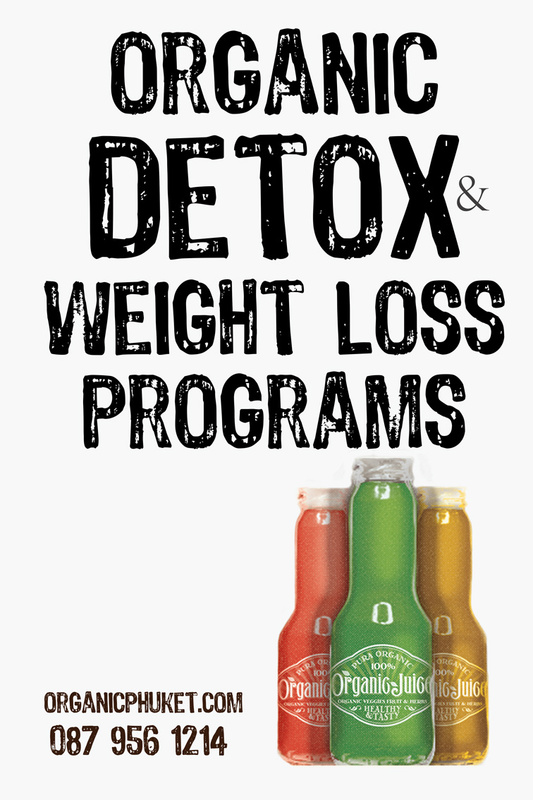 Our healthy juice programs can help you feel better, detox, you’ll be amazed how this transforms you within a few days. Click here for full description. For hotels we have special larger quantities of these healthy juices against very competitive prices. These can be used to offer your guests healthy detox drinks at your breakfast, lunch and dinner. “The market research company Organic Monitor estimates the global market for organic food in 2014 to have reached 80 billion US Dollars (more than 60 billion Euros). The United States is the leading market with 27.1 billion Euros, followed by Germany (7.9 billion Euros), France (4.8 billion Euros), and China (3.7 billion Euros).